Small repairs (tires, brakes) can be done with short notice. We are not able to do complete bike overhauls during summer season. We won't take more work than we can handle. Bring your bike to the shop for an estimate or give us a call. When your bike is ready, we will send you an SMS. NOTE: We only service bikes bought originally from Greenbike. We do not give or rent tools for customers. 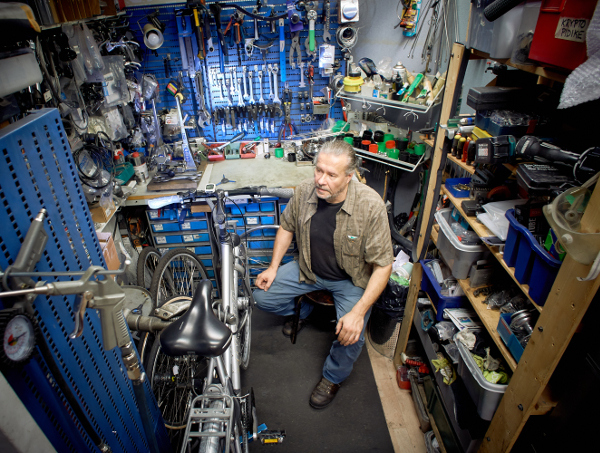 You can go to Helsingin Kaupungin Py�r�keskus/Helsinki City Bike Center in Kamppi. The staff there will lend you tools and help you.